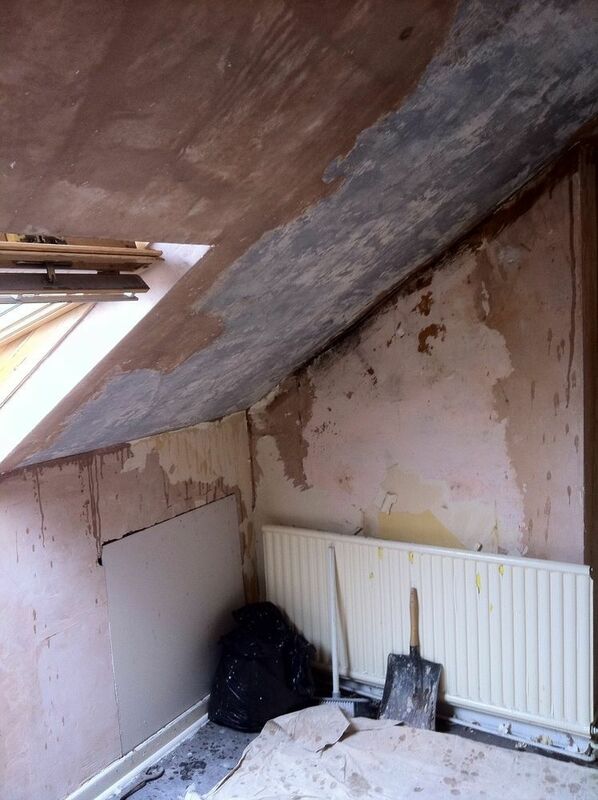 Saturn Plasterers have over 30 years’ experience in the plastering business. Based in Leeds and Doncaster, we work throughout Yorkshire and beyond. 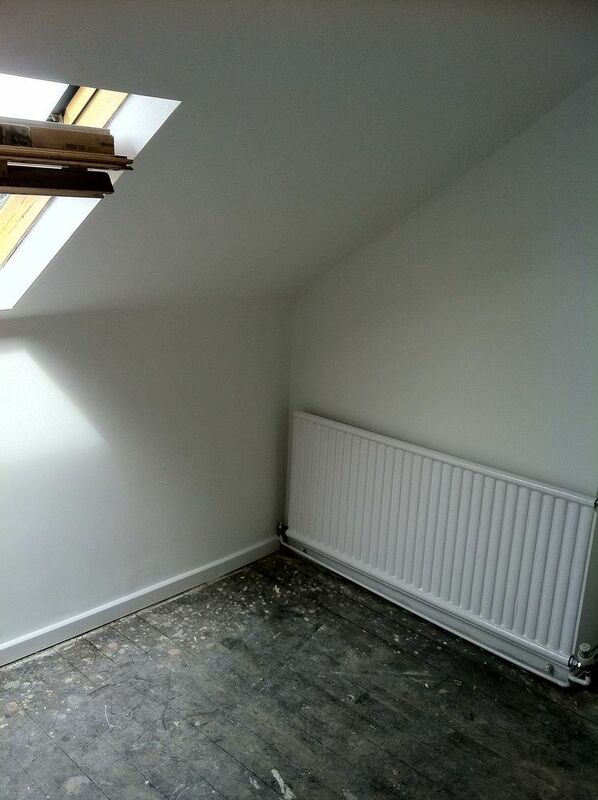 We specialise in skimming, dry lining, wall boarding, artex removal and ceiling replacements. 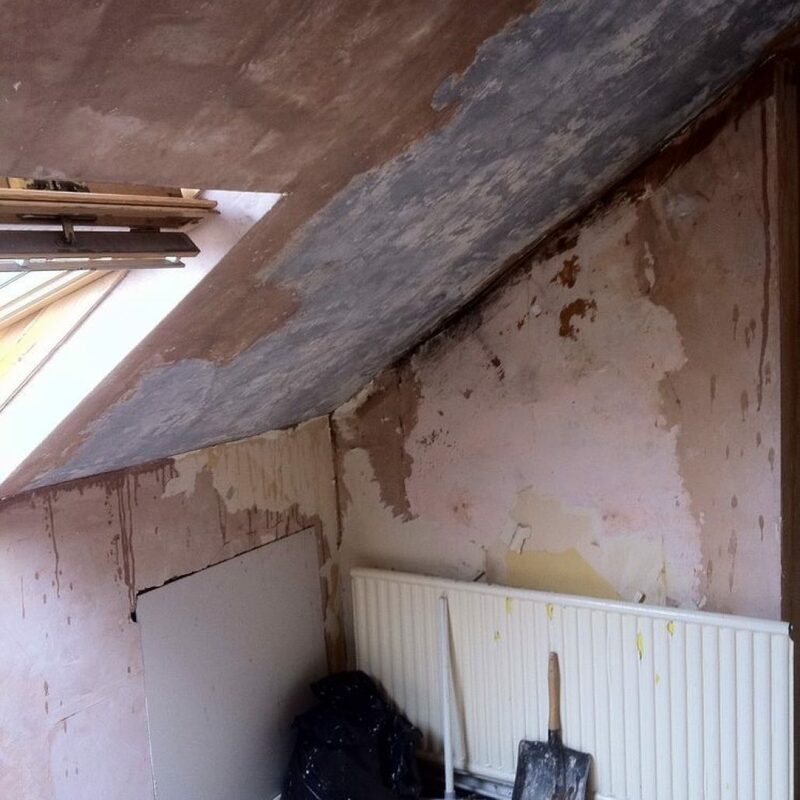 We are happy to undertake small jobs such as patching a hole in a wall or ceiling right through to a complete re-plastering of an entire house. 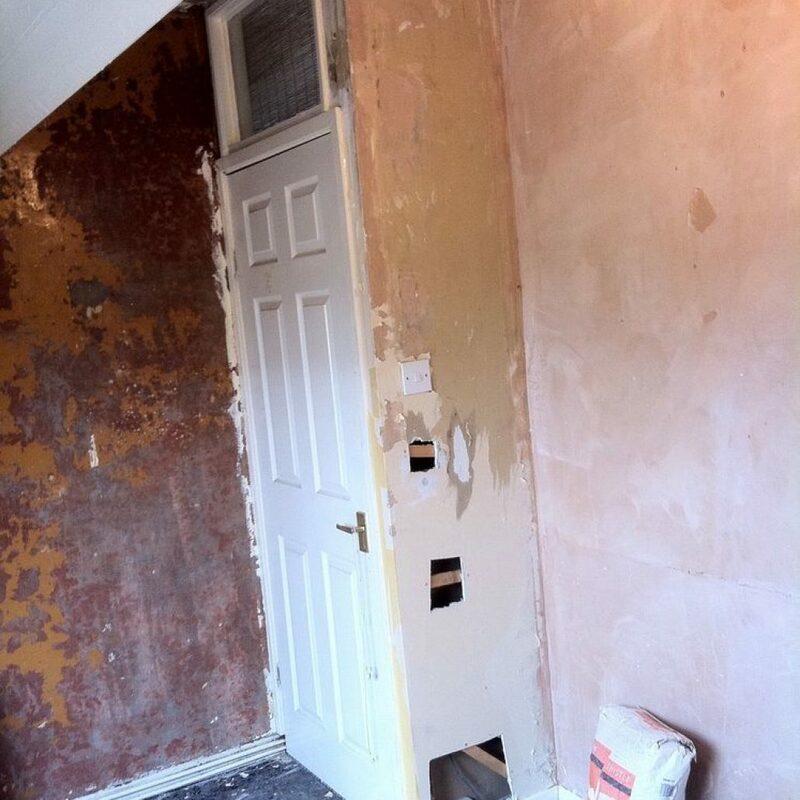 Below we give an example of a boarding and skimming job we carried out on a Victorian house in Armley, Leeds, West Yorkshire. 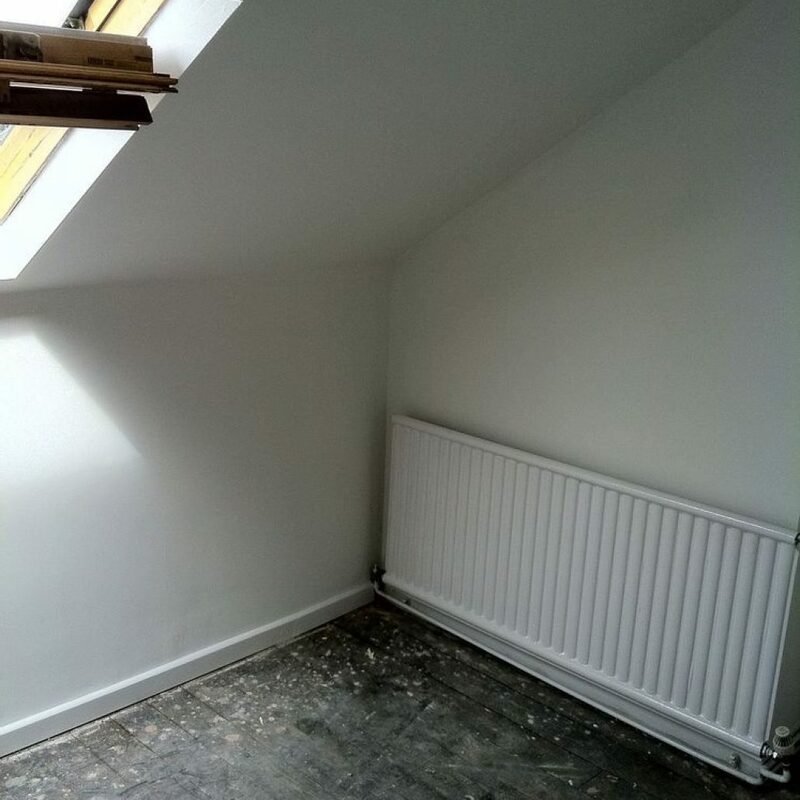 You can see the before and after pictures and we have described what is being done below each picture. 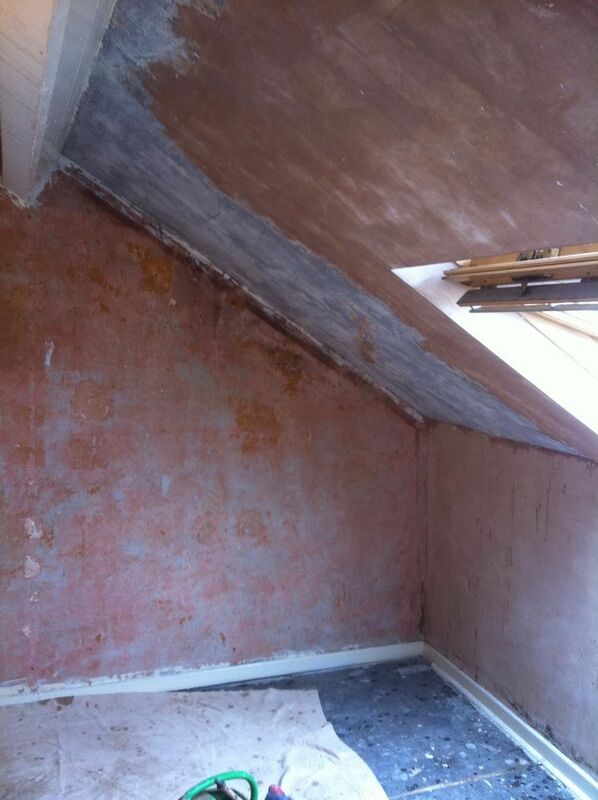 View of old Victorian Attic prior to skimming. 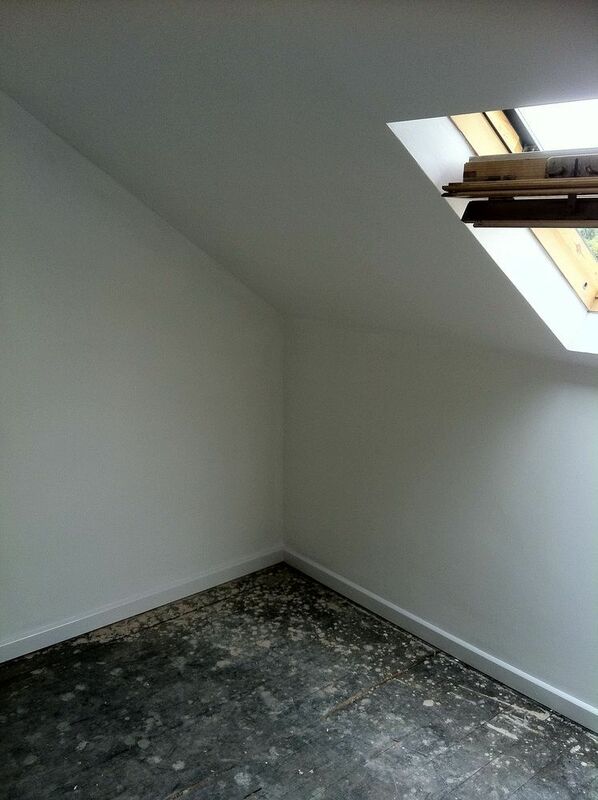 Victorian attic following completion of skimming. 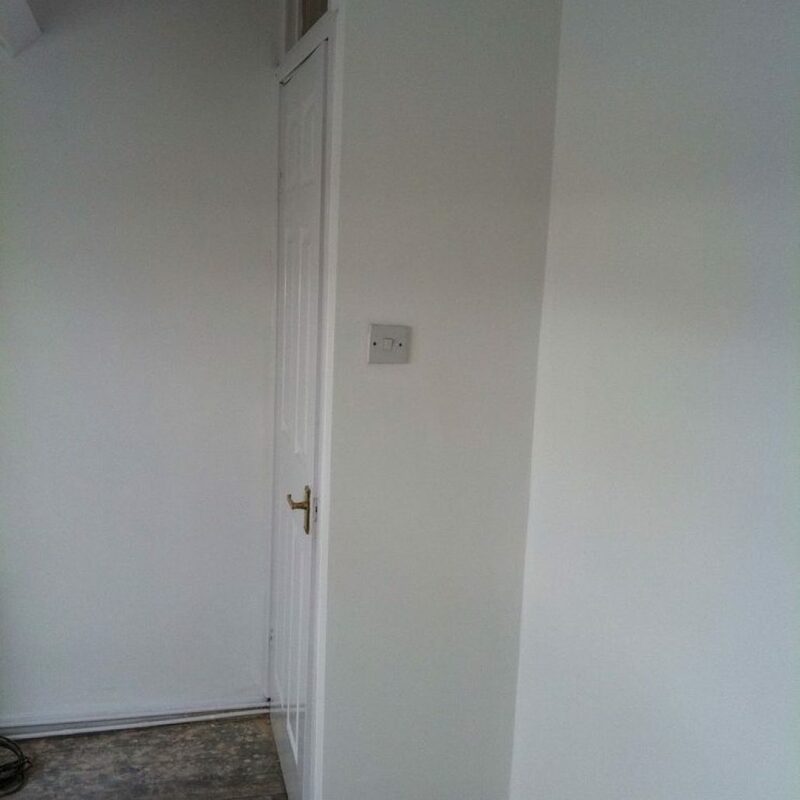 Walls needed repairing following electrical work. We had to batten and board prior to skimming. 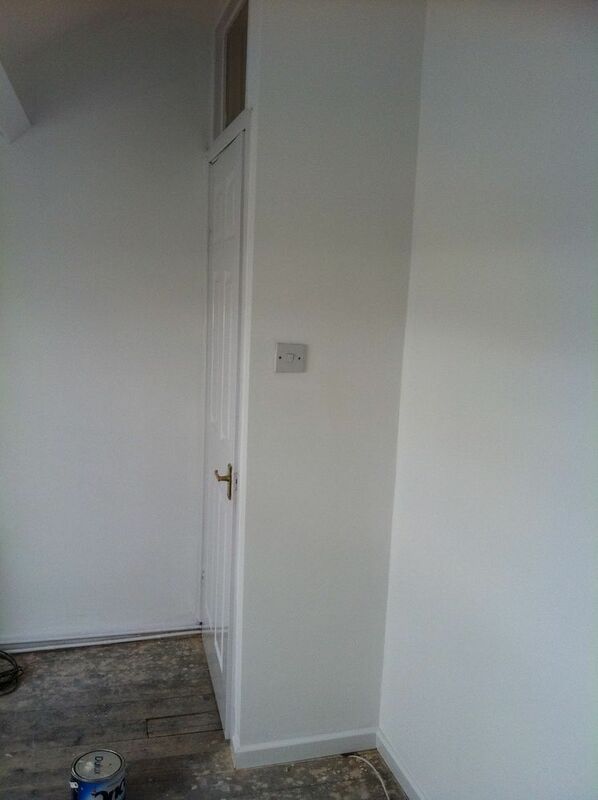 The finished wall after battening boarding and skimming were completed. 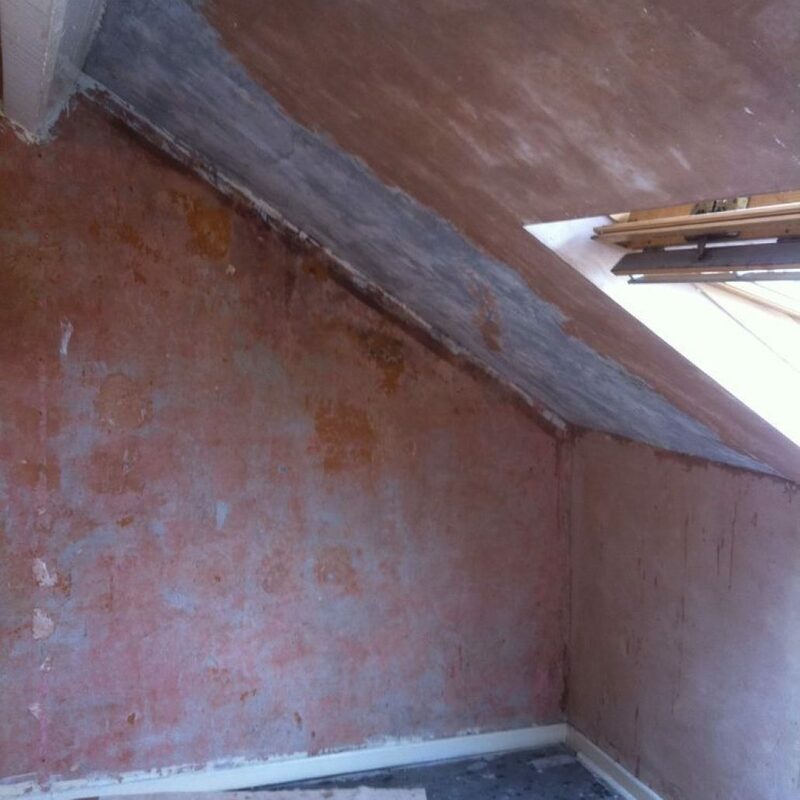 Old Victorian attic in need of a facelift. 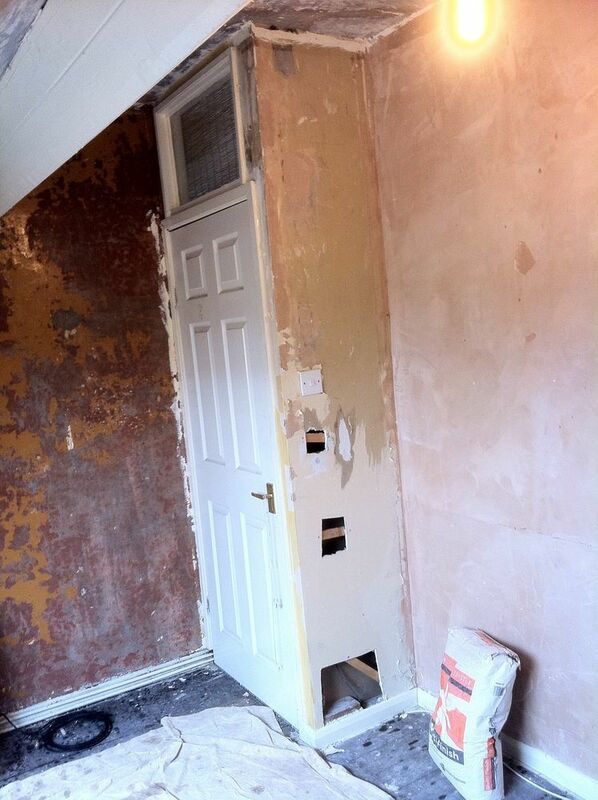 Owners assumed complete re-boarding was required, however we advised only a simple skim was needed. 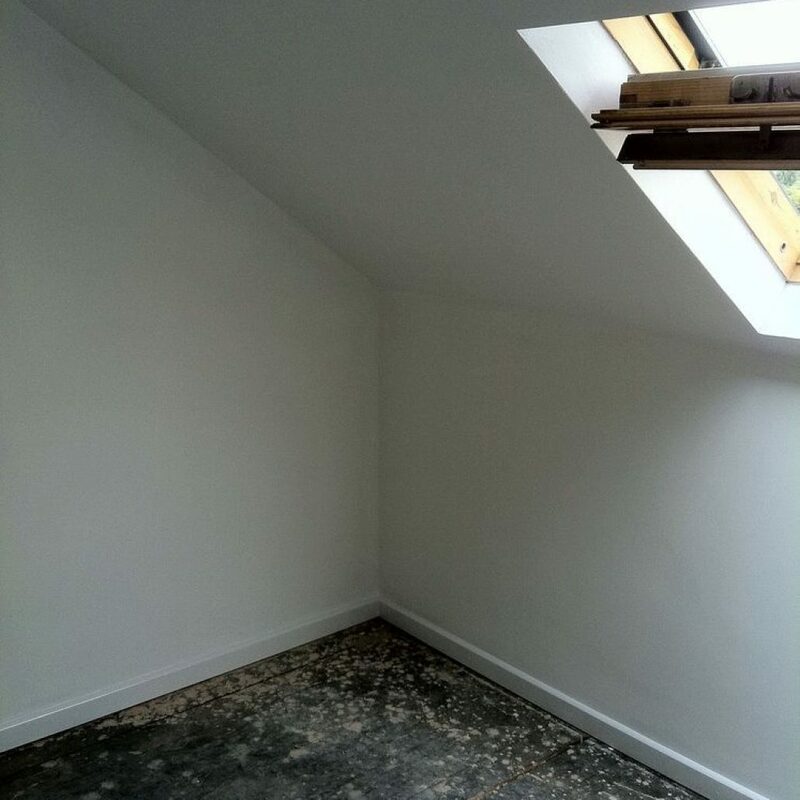 Finished attic facelift after simple skim.